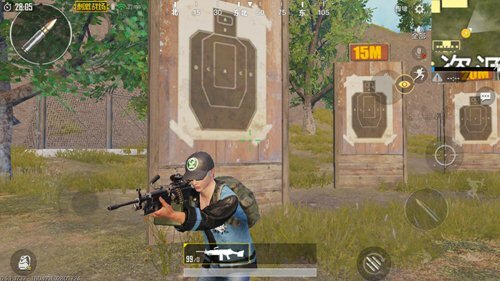 Machine guns are one of the rarer weapons in the “PUBG Mobile: Stimulus”. Not only the probability of acquisition is low, but also the variety of firearms is very small. At present, apart from picking up DP-28 light machine guns through the resource zone, another M249 heavy machine gun needs to be obtained through airdropping of supplies. Here we take a look at what kind of performance the M249 heavy machine gun has in the game. The M249 heavy-machine gun prototype is U.S.-made “M249 automatic weapon for class”, which is an improvement of FN Mini’s light machine gun from Belgium FN. In 1984, the US military was officially assembled. Because of the large amount of ammunition, and the use of the “NATO” standard 5.56mm ammunition, it is called the most durable automatic weapons in infantry. 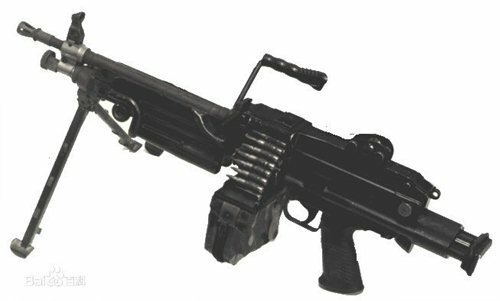 M249 heavy machine gun fire fierce, in the continuous shooting pressure can easily over DP-28 light machine gun. Firearms can be equipped with few accessories, only sighting one. The single bullet damage and the rate of fire of the M249 are among the upper level of the firearm, almost the same as a rifle. The main advantage lies in the fact that its bullets have a long range and they have a lot of bullets. The rear seat was slightly larger during the shooting, but due to the bullets, the fire suppressing effect brought by the fire was unmatched by other firearms. In addition, because the entire type of sighting device can be retrofitted, the applicability of the firearm is relatively high. M249 needs to be obtained through airdrops, which is relatively difficult to obtain. The M249 carries a high amount of ammunition, with 100 rounds of bullets fired and then with good single shot damage, so as long as the players get it, they can gain a great advantage in the fight. Of course, the threat posed by the M249 to the vehicles is also not reachable by the general firearms. 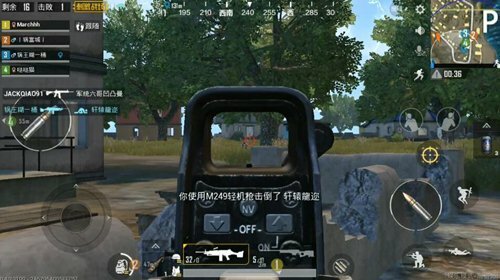 Those who like to take advantage of the card points get M249, you can choose some of the enemy’s only way (such as the island map of the bridge), to the enemy vehicles into the field of vision with the help of M249’s super firepower easily swept. Because of the fire Recoil reason, under normal circumstances recommended with red dot, holographic, double lens and other low-power lens as a sight. In addition, because the firearm itself has its own bracket, the M249 will have a super large degree of stability during the firing of the gun.Qualitative improvement. 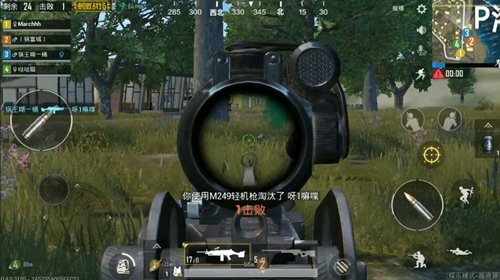 When the players are in volley, as long as the angle allows, with four times the mirror can also complete the precise sweeping gun operation, and in the process, players can clearly feel the recoil of M249 can really use “low” & rdquo; ; Two words to describe. In addition The M249 shooting mode is fully automatic and does not have the ability to fire in a single shot. And the firearm itself has a large recoil, so it is difficult to shoot with high-powered lenses, especially the eight-fold mirror. The players who have tried can feel it. After the shot was fired, the first shot was accurate, starting from the second shot. The sight of M249 will instantly lift up to heaven, so eight shots can be excluded. In the face of medium- and short-range targets, you can choose to use the quadruple lens. If possible, shoot as much volts as possible to greatly increase the precision of the shooting. If there are no conditions, you need to use the pressure gun technique, otherwise it is difficult to scan the target. M249 In-game attributes The upper middle is more suitable for medium-range and short-range operations, and is not recommended for novice players because it requires higher pressure gun skills for shooting recoil. In fact, the use of the advantages of multiple bullets in firearms can easily suppress such targets as running poisons and outside the housing area.